UPDATE # 2,472: My FIL posted a link to the info on my awesome building in the comments for this post. It seems its history is awesome, too! 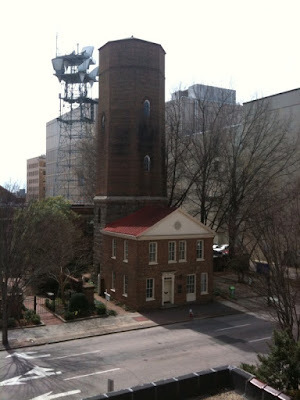 The building was the Raleigh Water Tower. Isn't that neato? In 1938 after the water needs of the city outgrew this tower, an architect bought the building. He converted the tower to 4 floors and it's been used as work space ever since. I was right about AIANC - they are still there, but my favorite tidbit of information is that Dorton Arena was designed inside this building! I'm a sucker for historic properties! Sidebar: I'm just giving the hubs a hard time. He's not had the passion to program in a while and I'm glad he's diving in and excited about it. Anyway, a co-worker of mine walked down to Subway to get lunch today and came back exclaiming, "There's a new restaurant! A new restaurant!" Guess that's all I need to say to indicate the same places over and over get a bit old. She said it was right next to Subway and she decided to try it. It's a healthy food place, but not like granola-healthy, like at home cooking healthy. She came back with chicken, brown rice, and green beans. Plus a flier so I could see what else they had. It was their grand opening. So I walked my happy self down there for lunch and grabbed a smoked turkey wrap. When I came back to the office, my usual lunching spot (the conference room) was occupied, so I went out on the fire escape. Lucky for us, a fire escape is right in the middle of our office and we have it all to ourselves. I went out there and enjoyed the breeze and the sun and chowed down. Lunch was good - felt healthy and lite, but definitely not flavorless. I'd try the new place again for sure. As I sat perched on the fire escape, my building at my back, I looked to my right and to my left. I saw the same thing on either side, yet they were different. 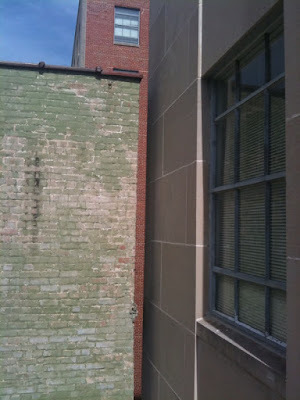 I saw 2 buildings, separate from my building, but so close it was almost comical. I wondered which building came first? And who was the dummy who decided to build the following buildings so darn close to my building? Behold, I have pictures. This was the view to my left. I have no clue what's in this building or what it's used for...other than a place for the homeless people to pee. It's less than a foot from the side of my building (which is the one on the left). WHY!?!?! This was the view to my right. Again, different building, no clue what it's for. Judging from what I could see in the windows, it's a storage building for broken down cardboard boxes. My building is the one on the right. What you see through the crack is actually part of my building as well. My building is shaped like a "C" with an icky courtyard (nothing you'd actually want to visit) in the middle. For some reason, the courtyard side is brick and the street view is...something else (?). Granite? I dunno. Also, I should point out that the nice lovely window pictured here belongs to an office in my suite. It's an empty office. Yes, a wasted window opportunity. It breaks my heart. One day, I will have an office with a dang window. And I will appreciate it every day! I just found this weird. So I shared it with the internet. What I did not photograph was the view in front of me. 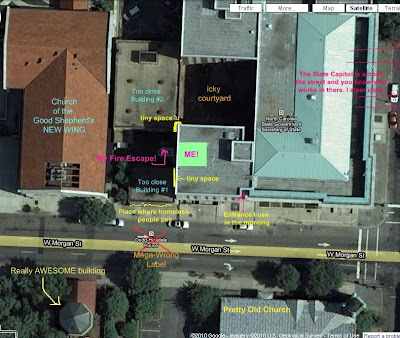 The Church of the Good Shepherd is there and its new wing was my view. The 2 buildings pictured above seem like they should be a part of the church, but they do not touch the church nor do they seem to go with the church. It's just a bizarre things to see 2 buildings rounding out a square (or is it squaring out a square?) of church, building, building, Old Revenue Building and 2 of them seem to be completely disconnected from either building with a purpose. It was bothering me. Hence, the blog entry. Also, I am a nerd. UPDATE: Have installed a rad diagram for you. 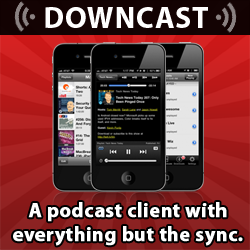 Please click on it to enlarge so you may fully appreciate its detail and awesomeness. I will say, knowing how State Government works, I would not be surprised if both buildings belonged to the state and they are general storage buildings for miscellaneous junk and things. How fancy. 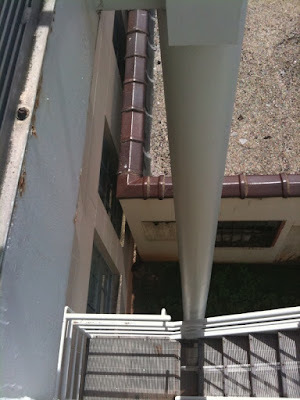 Also, I was scared of dropping my iPhone down the fire escape. I know you were wondering. thanks fer sharing kelleyo! i enjoyed the heck out of this post! !